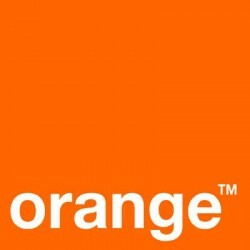 One of Sierra Leone’s leading telecoms operator, Orange Sierra Leone, has on Monday, 8th April, 2019, at a quarterly press conference, updated journalists on the company’s digital revolution journey, Corporate Social Responsibility projects and the expansion of their network amongst other issues. In her opening remarks, the Head of Media and Public Relations, Orange Sierra Leone, Annie Wonnie Katta, said they are holding the session to update journalists on the operations of Orange Sierra Leone and called on the media to work with the new team. The media engagement featured various presentations which were made by representatives from the different departments of the company including the marketing, network expansion and investment, Corporate Social Responsibility, Orange Financial Services and heads of various products and services such as the Orange B2B, respectively. Strategy Marketing and Partnership Manager, Abibatu Baxter, presented on the financial service access point. She noted that they are the first to introduce such a financial service in the country. She took journalists through the features of the product, noting that it employs over 5,000 people directly and indirectly; and has enabled people to transfer money, pay for goods and services in shops, supermarkets and stalls, undertakes salary payments and payment for utility bills, amongst others. Orange Money, Madam Abibatu Baxter continued, played a very critical role during the country’s Ebola scourge. It was the platform used to pay caregivers. The platform is good, she noted, due to the fact that it has accountability and audit trails. According to her, this largely accounts for the increasing partnership between Orange Sierra Leone and a number of INGOs and NGOs both nationally and internationally. In another presentation, Felix, who is a representative, made a presentation on the various products, voice and data services offered by Orange Sierra Leone. He told newsmen that the company has the widest, affordable and efficient coverage. He noted that they are the first to have a female CEO in the telecoms sector in the country and also the first in introducing a number of products and services to the farthest part of the country with a huge customer base. On the Corporate Social Responsibility front, Desmond Spaine, the Corporate Social Responsibility Manager, took journalists through various ambitious and costly projects already undertaken by Orange Sierra Leone as a way of giving back to society and its numerous subscribers. He cited the 1.5 million dollar commitment to the country’s free and quality education, the two billion Leones yearly support to 50 kids at various SOS homes in Bo, Kenema and other major towns. He also cited the 20,000 Euros support to the building of a separate orthopedic and pediatric theatre unit at the Connaught Hospital for children, amongst other key supports to the religious community and the Freetown City Council’s environmental and sanitation drive. He noted that Orange continues to leave a very strong footprint in the Educational, Health, Environment and the empowerment of women and children. Other representatives from the Orange B2B and Network expansion and investment also made presentations on the strides already taken by Government, which have resulted to the spending of over fifty five United States dollars (US$ 55,000) with over 925 local sites in the expansion of the network to various rural communities. This massive and the unprecedented expansion have taken place since July, 2016 when Orange took over AIRTEL. Daniel Fornah, Networks pPanning and Engineering Manager, spoke on the Company’s networks expansion and investment drives, noting that this has been informed by market surveys and license conditions. He disclosed a number of changes done to equipments, machinery in sites and locations in the country, which he noted is responsible for the wide coverage and efficient network. He concluded by disclosing the rolling out of the 4G SERVICE, including the level of infrastructure the company was able to build in Freetown. He further unveiled plans for all major towns and cities. Madam Annie Wonnie Katta concluded the session by availing to the media the commitments of Orange Sierra Leone for 2019, which include an additional expansion plan of 24 million dollars and also efforts at further supporting communities, the GoSL and its numerous subscribers, amongst other development plans. She noted that it is the intention of management to continue to expand the network by building more sites connecting rural areas,, which, she noted, is in line with the Government’s aspirations. The New Media Team was highly commended for putting together such huge information to the media and many say this is a novelty in the life and operations of the company. It is undoubtedly clear that many Sierra Leoneans, including journalists, were of the opinion that mobile networks, including Orange, are doing very little in terms of supporting national development aspirations. 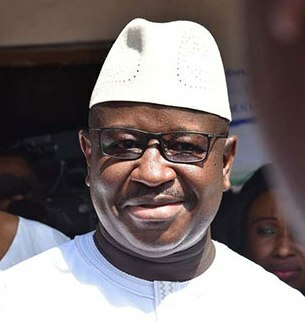 But the unveiling of the company’s strategic milestones, both in terms of direct and indirect investment in the people of Sierra Leone at yesterday’s briefing, would long go a long way to redirect the mindset of Sierra Leoneans on the operations of Orange. The New PR team was urged to sustain the brilliant moves and also strengthen their new found relationship with the media.